WIN $5,000.00 A WEEK “FOREVER” ON AUGUST 31ST, 2015. SPECIAL EARLY LOOK FOR A WINNER AND I DO WANT TO WIN THIS INCREDIBLE WINDFALL THAT MEANS I WOULD RECEIVE $5,000.00 A WEEK FOR MY LIFETIME, THEN AFTER THAT, $5,000.00 A WEEK FOR LIFE WOULD GO TO A BENEFICIARY OF MY CHOOSING… THE PCH PRIZE PATROL WITH A “BIG CHECK”, CHAMPAGNE, AND BALLOONS…. PLUS, GLENN MAKUCH IS PUTTING ON TOP MY ACTIVATED TODAY PCH BLUE DIAMOND CARD WHICH I RECEIVED 5 ENTRIES AT 10:28 PM ET, 5 ENTRIES ON TOP ANY OF THESE ENTRIES CAN WIN ME $5,000.00 A WEEK FOR LIFE FROM GWY. NO. 4900. Win!win!win! I keep telling my self I Want to win Big. This would be the best thing that could happen to me and my family thank you PCH. Connie from San fernando, ca. I want to win.Thank you publishers clearing house. I am registering win #612 for prize #4900 drawing on Aug 31, 2015. Gee I hope this is the winning number. I am prize number 4900 have I won yet? I ‘ll keep praying for them to to438 Anton San Antonio TX 78223 yes i’m practising my yelling crying jumping until you get here.come to Texas we need the big check please come. I know you have everyone letting you know they want to win. will looks like I’m another. to win the pch gwy 4900, would not only help me but also two people that’s been there for me here lately. to show them how much there help has been .it would be great to first pay off there home for them. then find my own little place.maybe I could also send them on there 55yr honeymoon,that would be wonderful. thanks for reading my letter. “FOREVER” PRIZE (GWY. NO. 4900) I AM RESPONDING PROMPLY BECAUSE I WANT TO BE SELECTED THE PUBLISHERS CLEARING HOUSE NEXT MULTI- MILLIONAIRE WINNER. THE MAP ZIP CODE IS RIGHT ON POINT OF 34608 AT ADDRESS 10458 NORVELL ROAD. THIS IS A EARLY ENTRY! PLEASE LET ME KNOW IF THIS NOTICE IS CONFIRMED PRIZE BULLETINS/PROMOTIONS VALID PRIZE NUMBER ARE FULLY ELIGIBLE TO WIN A GUARANTEED $ 1 MILLION SUPERPRIZE ON AUGUST 31ST, 2015 IN A SECOND CHANCE DRAWING. PLUS $1,000,000.00 GIVEAWAY NO.4950 I AM IN IT TO WIN IT ALL. Grand Prize Bonus – Gwy. 4902. Pch I want to win this $ 5.000.00 a week forever august 31st $$$$$$$$wows pch I claim my prize entry ticket. Win $5,000.00 a week and beneficiary will receive after. “Forever” Prize due August 31, 2015.
at a house, I am praying it is my house. I’ m not the only who will be happy but also those charities that I plan to share and the family that needs help. Forever prize winning will be a grace to so many. Well I pray I get this kind are money because all my life I been living pay check to pay.now I living month to month on a 758 SS income.you beat ,I need to win the pch Lott.change my life.I stay up playing this game because I cant sleep anyway so this helps me to deal with it.lock on my door. Hello!!! May I say Good Luck to all of you taking time to enter PCH Sweepstake! It gave me a reason to not to give up when there is something to believe in. Thanks to all you lucky ones that had never stop beliving. I Claim, to win the PCH entry for my initials JE, prize Gwy.no.3818 $100.00; Gwy.no.4900, to win August 31st, Prize Event for $5,000.00 A Week “Forever”; Gwy.no.4902, $50,000.00 CASH BONUS;Gwy.no.4950, $10,000,000.00 SuperPrize, I have acquired eligibility as a SuperSearcher;Gwy.no.3080, $10,000,000.00, Plus $1,000.00 from the Prize Zone to win 1MILLION Cash, plus $650,000.00 “Bonus in Good Faith”;also, claim prize of $1,000.00 and $5,000.00 GOLD SEAL.I am daily in prays of the Blessing of the Publisher Clearing House to select me the “WINNER” and the Prize Patrol Elites to deliver to my Residence with the Blessings of God’s Protection and return home safe. Hey I Ee Lee search today that yesss 2502 W. Mitchell St from Milwaukee, Wisconsin 53204 will win on August 31 gwy No.4900 and please helps me claim my prize number and entered for me please. Thanks for the love and keeps me alive. Hey Pch Staff teams I here search that Ee Lee would truly want to win the Lee zipcode on File as 53204 on August 31 gwy No.4900 please and please let me in eins it please. Thanks a lot very much. Love all of you Always with the nationwide gwy No.4900 for $5,000.00 a week for life. see you to give me the wonderful forever prize 4900….. That ‘s a dream come true. Thank you. Please Activate my PCH Winning Numbers for Gwy 4900 for the WINNERS SELECTION LIST. PCH $5,000.00 a WEEK “Legacy” “FOREVER” “Big Check” Prize. I’m it To Win It PCH Rules!!! Hey I search today that yesss I Ms. Ee Lee should become a $5,000.00 a week for life on August 31 gwy No.4900. And plus yesss The Lee family address should become your pch final destination….. Thanks a lot very much. My address:2502 W. Mitchell St Apt #1 Milwaukee, Wisconsin 53204. But the street where I lived it located at W. Mitchell St and S. 25Th St. I simply just want to win to pursue my dream to share my fortune with good people! Winning is Sharing and Sharing is Winning! Hey Pch Staff today I yesss search the Beneficiary claim No.15-27-02 Ee Lee 2502 W. Mitchell St in Milwaukee, WI would love to win prize number result big win on August 31 gwy No.4900. And plus yesss would love the opportunity win $5,000.00 a week “forever” prize payments lifetime party respond this Bulletin deadline date July 15 claim “forever” prize number pch entry….. Til then, thanks a lot very much… Love me. Hey I Ee Lee here search today and now yesss would love to win it all on August 31 gwy No.4900 and please help me activate and enter my entry win pleased I really need to wins it. Thanks… Love. I,AngeL L can win by search at PCHFrontpage! $25,OOO.OO Cash Prize from PCH Gwy. No. 4749 and I want a chance to win $5,OOO.OO A Week For Life from PCH Gwy. No. 49OO! Publishers Clearing House You Have Provided For Me A Golden Opportunity…I’m Ready To Win My Big Check Amen. 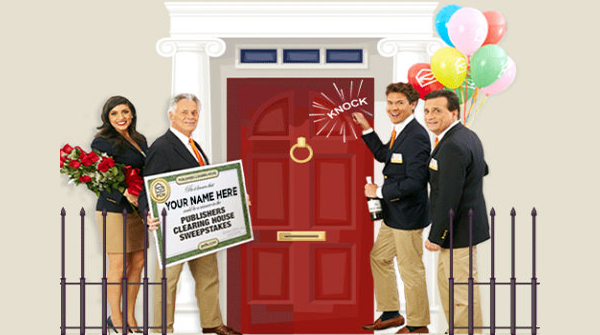 I hoping PCH Prize Patrol will show up at my door on June 30th. A big Check, Champagne and Ballons. “Win It All” $2,000,000.00 up front, $10,000.00 A Month For Life, and a Brand New LincolnMKZ worth over $37,000.00! I really want to win. I want to get out of debt. I also would help my two daughters and my sister and brother and parents. I want to take my Husband on a trip while he is still able. He needs surgery and can’t afford it. So I really want this. I have been playing all the games and searching every night. I put off my life and playing every night for almost two months. Hello Pch teams Staff I Ee would loves to becomes pch big winner on June 30 gwy No.4900. Thanks a lot….. Lovely. I want to win 2 million dollars. To help my children. Go to college, publish. My books, and help my brother he has a heart problem and can’t work. It would be a wonderful blessing. With me having some disability issue and having my 89 yr old mom staying. It’s not easy. So yes if we won it would be a true blessing. I would be able to take of my family . And a few donation to some worthy institution. St Judes Our wounded warriors of course the homeless these are also organization that need our help. Hollow Prize Patrol Elite Team, Todd Salmon, Dave sayer and Danielle Lam. Yes I would love to claim my Eligibility Forthcoming super prize giveaway Numbers,W25-101, Y15W25-382 and W22-101 giveaway NO. 4900, $2,000,000.00 Lump sum and Plus more. claiming my entry and securing my elegibility to “WIN IT ALL” pch gwy 4900 $2,000,000.00 at once + a brand new Lincoln MKZ + $10,000.00 a month for life on june 30th. also my chance entry to win pch gwy 5035 $1,000.00 instant cash . Greetings, PrizePatrol! Yes! Yes! Yes! PrizePatrol, Dave, Danielle, and Todd! I am in it to “Win It All” on June 30, 2015 and to meet the Dream Patrol! Thank-you, PCH for this golden ticket opportunity event! It will be an honor to represent this great organization in the Panhandle of Oklahoma! May God Bless! would Like. To confirm. That. I want. to win a $5,OOO.OO A WEEK “FOREVER” ON FEBRUARY 27TH FROM PCH GWY. NO. 3O8O.from pch gwy numbers ….5,OOO.OO A WEEK “FOREVER” ON FEBRUARY 27TH FROM PCH GWY. NO. 3O8O. # 3080,, #3577. Big check. A $1,000,000,000 a forever. Super prize on January 20 th. and. Code to win .”4900″ ,for pch gwy no.# 4900. A. $10,millions and the. “Forever” so please. Confirm. That. I accept all my. .Forth. Coming. Super Prize no. And codes. # and. Secure. To Confirm full ownership. Beneficiary a $5,000.00 a week forever thx u.
would Like. To confirm. That. I want. to win a $5,OOO.OO A WEEK “FOREVER” ON FEBRUARY 27TH FROM PCH GWY. NO. 3O8O.from pch gwy numbers ….5,OOO.OO A WEEK “FOREVER” ON FEBRUARY 27TH FROM PCH GWY. NO. 3O8O. # 3080,, #3577. Big check. A $1,000,000,000 a forever. Super prize on January 20 th. and. Code to win .”4900″ ,for pch gwy no.# 4900. A. $10,millions and the. “Forever” so please. Confirm. That. I accept all my. .Forth. Coming. Super Prize no. And codes. # and. Secure. To Confirm full. Elijibilty of ownership. Beneficiary a $5,000.00 a week forever thx u.
Todd Salmon, Dave Sayer and Danielle Lam. Yes I would love to Win the Brand new Ford fusion VALUED OVER $38,000.00 dollars giveaway NO. 4650. Yes I would love to claim my Forthcoming super prize No. 641435094340 super prize giveaway NO.4900. Yes I would love to Win the Golden Ticket $10,000,000.00 Million Dollars super prize giveaway NO. 4900, I would take payout Lump sum $4,000,000.00 Million Dollars. I’d choose option (B) payout Lump sum giveaway NO.4900. Yes I would love to Win the Special early look event on June 30the 2015.Yes I would love to Win $2,000,000.00 and Plus $10,000.00 A month for life and a Brand new Lincoln MKZ VALUED OVER $37,000.00 and Plus more giveaway NO.4900. I WANT TO WIN IT ALL THIS June 30TH. mY FAMILY, CHILDREN AND FRIENDS ARE BANKING ON IT!!!! I have so many beautiful things I would do with the money.But, first of all pay everything off so that debt or owe will never be a big word in our house again!!!! Please.,Dave Sayer bring the Prize Patrol to my house. I WANT TO WIN IT ALL COME June 30TH WITH THE GOLDEN TICKET OF 25,000.00 TOO. I AM IN IT TO WIN EVRYTHING. Want to win it all. I want to help rebuild our church, get my mother her first house, and send all of my children to college. And I believe that I can win, in Jesus name. Amen! Hey guys I’m needing an imenent winner selection sent to my email I guess iv sent two in the mail see you guys real soon can’t wait to call mom and tell her her troubles are over!!!! Yes I’m ready to meet the prize patrol and win it all on June 30th that’s me! Yes I Jennifer jamiel would love to win it all so I can buy me a new house wer my kids can have there own rooms and more space and a big yard to play …. and some cash on the side for there future.. Yes I Mike Gumaer would love to win the Special Early look prize event ON JUNE 30th 2015, Yes I would love to win $2,000,000.00 Million dollars All at once and plus $10,000.00 A month for life and a brand new Lincoln MKZ VALUED OVER $37,315.00. PCH IM READY TO WIN, IM WAITIMNG ON MY BALLOONS, FLOWERS, & CHAMPAGNE, & OF COURSE MY BIG CHECK, PCH BRING IT ON!!!!!!!!!! Yes I Mike Gumaer would love to win the super prize sweepstakes on June 30th 2015, yes I would love to win $2,000,000.00 dollars all at once and plus $10,000.00 A month for life and a brand new Lincoln MKZ VALUED OVER $37,315.00 and plus more. Yes I would love to win $5,000.00 dollars A week for life From PCH GWY. NO. 4900. Yes I would love to Activate my entry NUMBER. PCH-15P24007. PCH IM READY TO WINNNNNNNN, IM WAITIMNG ON MY BALLOONS, FLOWERS, & CHAMPAGNE, & OF COURSE MY BIG CHECK, PCH BRING IT ON!!!!!!!!!! THNX …. IM READY TO WIN SWEEPSTAKES GIVEAWAY NO.4900 & GWY NO.4900 IM ENTERING….. I have been waiting for nearly a year !!! Now finally waiting for “win it all ” 30th June gwy 4900 & more !!! Need my Prize No. from you !!! AURITE PCH PRIZE PATROL TODD, DAVE AND DANIELLE. I WOULD LOVE THE SMELL OF FLOWERS, LOOKING AT THAT COLORFUL BALLOON, TASTING CHAMPAINE IN MY MOUTH, BUT MOST OF ALL, LOOKING AT “LUCKY” THE BIG CHECK OF $2 MILLION DOLLARS PLUS MORE. CANT WAIT TO SEE YOU ALL IN PERSON. PLEASE MAKE PEPEEKEO, HAWAII YOUR NEXT STOP AND THE STATE OF THE NEXT MULTI – MILLIONAIRE WINNER. MAHALO & ALOHA. Win It All!!!!!!!!!! Thanks so much Prize patrol see ya soon!!!!!!!! 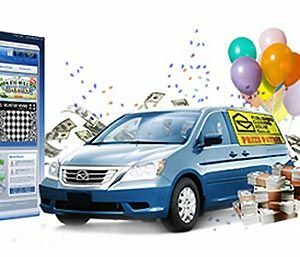 Hollow PUBLISHER Clearing House Super Fans around the world and plus the PRIZE PATROL Elite Team, Todd Sloane, Danielle Lam and Dave Sayer. Yes yes I would love to win the Special Early look prize event ON JUNE 30th 2015. You could win $2,000,000,000.00 At once and plus $10,000.00 A month for life and a brand new Lincoln MKZ VALUED OVER $37,000.00 PCH GIVEAWAY NO. 4900. Yes yes I would love to win $10,000,000,000.00 Million dollars super prize giveaway NO. 4900. Yes yes I would love to win $750,000.00 dollars Giveaway NO. 4950. Yes yes I would love to win Ford F150 giveaway NO. 4650. Yes yes I would love to win Golden ticket $25,000.00 dollars Cash prize giveaway NO. 4749. Yes yes I would love to claim my FORTHCOMING super prize NO. 641435094340 PCH GIVEAWAY NO. 4900. Yes I would love to claim my Eligibility super prize NO. W24 PCH GIVEAWAY NO. 4900. Yes I would love to claim my Eligibility super prize NO. W22-101 PCH GIVEAWAY NO. 4900. Yes I would love to claim my Attachment NO. 00099987555 PCH GIVEAWAY NO. 4900. Yes I would love to win Millionaire Making Opportunity continue the activation sequence accordingly. Search-Activated Entry 5220 to Win It all on June 30th 2015 PCH gwy NO. 4900. Yes yes I would love to win $5,000.00 dollars A week for life Super prize giveaway NO. 4900. Thank you PUBLISHER Clearing House. For this opportunity to win this 2015 ” WIN IT ALL ” Sweepstakes giveaway. 4900. Pch, I would Love to win this, but, like always you’re not going to select me , the way that I seen it happen, every time that I wished to win, you never come my way, and that’s fine, with all of that money at stake, you don’t want just anyone to win this, so I already know, that like always, you’re going to keep it in the Family, but all I really want is to pay off all of my debt and bills, purchase a 2016 kia sorento Limited for my wife, our new home, pay my truck off, Toyota Tundra etc. Thank you for Listening. I ‘very already claimed the Win It All June 30th so I will be waiting for the Prize Patrol to knock at my door and you will be more than Welcomed. inn It. 2 Winn IT Means BE GOOD – LIVE GOOD!!! Hollow PRIZE PATROL Elite Team. Danielle Lam, Todd Sloane and Dave Sayer. 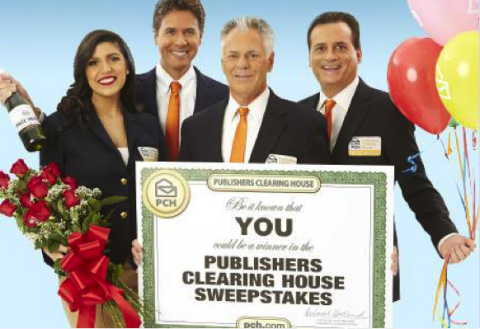 Happy birthday PUBLISHER CLEARING HOUSE. I want to celebrate To win it all ON JUNE 30th 2015 I’d need your help to celebrate the super prize sweepstakes for me to win giveaway NO. 4900. I Want to Win it All. I want to get a new house. June 30th will be my day of joy and also my life changing day. Pch, I thank you for changing my life since i join the search & win game, because it gives hope for my future. Halo pch I want to win Forfeit code f22 Calim code c22 forfeit prize number 803783705471 pch gwy no 4900 win it all ..pls help me for me faith is knowing that I have a blessing with my name on it publishe clearing house. I would like to claim the”Big Check” 5,000 a Month for life Gwy 3080. Balloons and Champagne and the Prize Patrol Visit. Wow! I mailed in my completed Final letter from Pch. winner selection list final step secure prize number register please. I also need to please unlock prizes 5860, 4650, 4950 I know I’ve wrote to you so much and gave you my number for 4900 and 4902 and my five thousand a week forever prize but I keep getting other stuff I need to get in. I know I’m gonna win the 4900 win it All though I have so many people to help and my list is getting bigger. Can’t wait to see you guys ,hate I’m not going to get to meet Daniele but baby comes first!!!! Well Hollow PUBLISHER Clearing House Super Fans around the world. I Mike Gumaer would love to win the super prize sweepstakes Win IT ALL on June 30th 2015 and plus more. $2,000,000,000.00 and plus $10,000.00 dollars A mouth for life and plus a brand new car Lincoln MKZ OVER VALUED $37,315.00 dollars and plus more Amazing prizes come along to giveaway. Well anyway I not greedy I just want to win what you got open and I don’t want anything else but my kids . Thank you and God bless. The lord bless us with so many things in life ..and that’s the air we breathing to survive and knowledge to know the different that I will win this in god we trust AMEN. …. Hi Pch.com and pch publishers clearing house and pch front page, Final step on 4900 sweepstakesfor $7,000 a week forever. Gwy no. 4650 4950 #4900 #4902 #3577 # 3080 #5166 #4651 #1733 #1830 #4749 on June 30th and also gwy no. 5035 on June 30th. Pch officials I am here to report my final step from the online bulletin 535 536 3600 3816 4749 and 250,000 forever prize 25,000 golden prize ticket. I want to report my online compliance as a community gold membership to win my prize. 2 million cash plus 50,000 4902 gwy bonus cash prize. Plus 10,000 a month forever plus 10,000 dream vacation. Plus 37,315 brand new lincoln mkz plus $1,000 HSN tv area, I want to report my final step to win $5,000 a week from gwy 4900,$7,000.a week for ever prize-3577 plus 1 million dollars on june 30th 2015 I am claiming to confirm my elegibility to win my unique super prize number gwy 4900 1830 4902, from the pch front page at the early look event selections on June 30th. I am asking if the prize patrol will come to my front door and surprise me. so I can pay my bills and debt and set my family free from debt so my kids can go to college and join community activities with debt free spirits and no set back in their minds. MR. Dave and MR.Todd and Daniella and board of judges and all pch officials i want to say thank you for the support, It has not been easy for me with my struggling of my sickness and my doctors appointments and co payments and registions of many activities online with credit cards and pay all bills as an old man of 62 years with pain and suffering from my arthritis and back pains and more, , but i have been able to reach to this final step, today, I did one more communty registration on one of the communities activities for my right family pet to go for my vacation with. I hereby want to submit my final step to win from Feb 27th. $5,000 a week and 1 million and the person who I choose 5,000 a week forever as my beneficiary. plus $1,000 at the tv area gwy no. 5166, and 5035 please consider my previouse status of my magazines many things i have done in the bulletenes, and how loyal i am with the pch,please let this come to me and the people i have promise to help them in this opportunity,also during my visit online,i have plan to help many of the victims,women, teenagers and more, i know i will keep going online to give help to those who really needs the help. Thank you PCH for the opportunity for me to win the $20,000.000.00 and the $10,000 a month. If I win I can buy my children and my inlaws. We have been living in a moble home right now it’s very cramped. I’d like to send some money for charity two .thank you again.